As a visitor to a city one is always in search of great locations to shop. 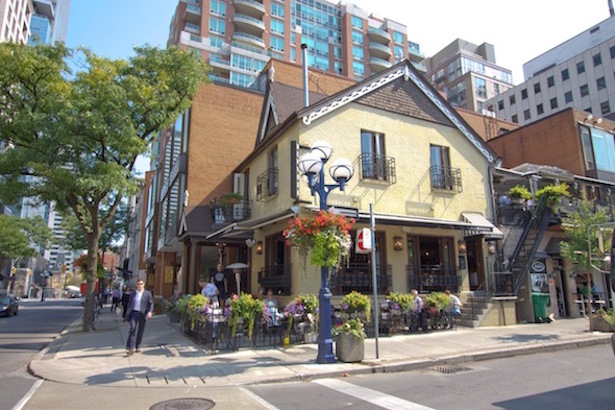 Once a suburb of Toronto before being annexed by the city the area of Yorkville has become known as an upscale shopping, arts, and restaurant area that is a must see for any visitor. Within this area lies Hazelton Lanes which, when first opened in 1976, was marketed as a luxury shopping centre that boasted 60,000 sq. feet of retail space. 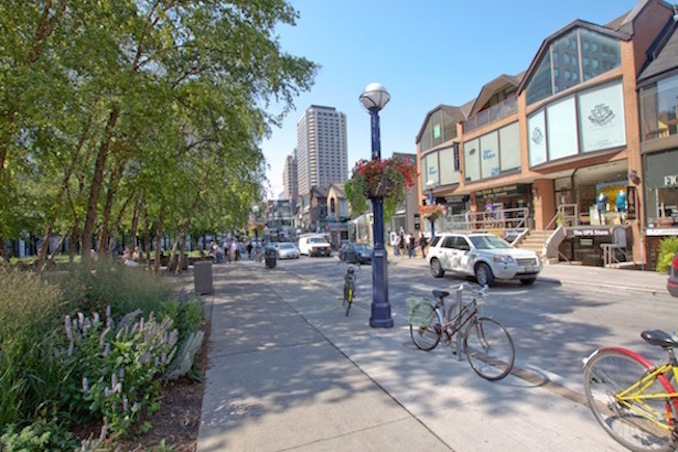 Yorkville is known to have some of the highest retail space prices in North America as well as having some of the highest earnings per sq. foot. 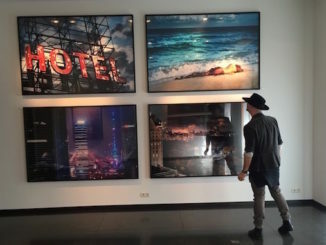 Here are a few of out picks of things to check out on your walk around Yorkville and Hazelton Lanes. One of the restaurants we talked about in an earlier post and that is Joso’s. Hemingway’s is a must see bar for any visitor. 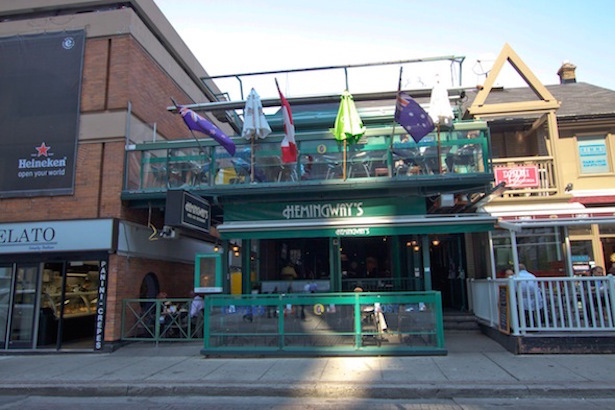 Located at 142 Cumberland street this bar has great rooftop and mid level patios that are heated in the winter and is often host to many of the areas fashion, banking, and upper management work force. The bar is of New Zealand descent and is described as a sports bar though the often suit and tie crowd would make you think otherwise. 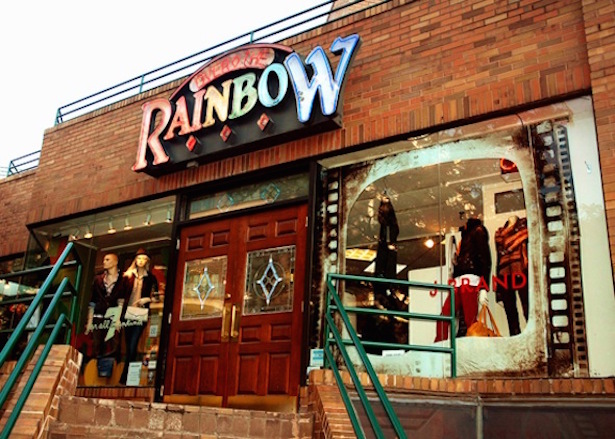 Over The Rainbow is a clothing and Jean institution in Yorkville. Founded in 1975 and carrying over 35 brands. 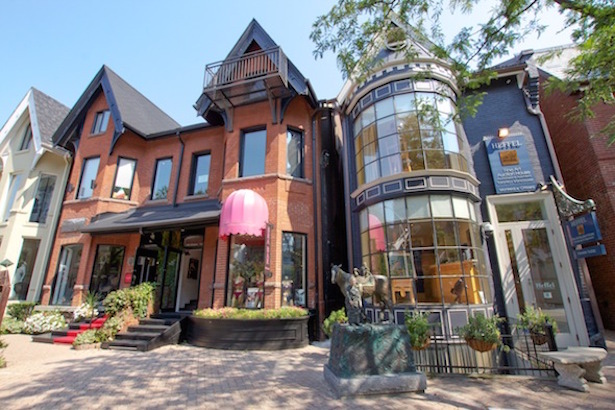 The store is a must visit for the Yorkville virgin as well as local seasoned veterans. 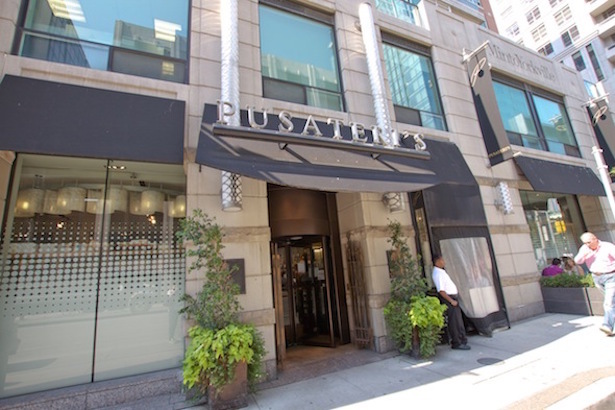 Pusateri’s is a high end grocery store that carries products from all over the world. From their breads to their olive oils the quality and service at this Toronto chain is top notch. The company has other locations in high end areas of the city as well as running a catering company. 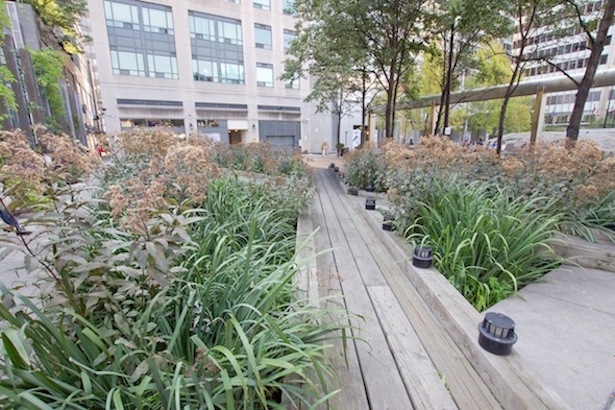 In the past 10 years the area has been cleaned up greatly with things like this park which has had its landscape greatly improved with seating areas, new plants, trees, and gardens. As well as a fountain and light displays that make for great photo opportunities. 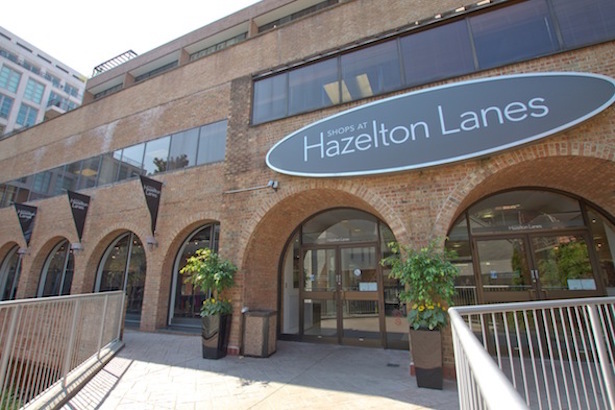 Hazelton Lanes started strong when it first came out in 1976 but then hit a wall in the 1990s when a recession took over in Toronto. 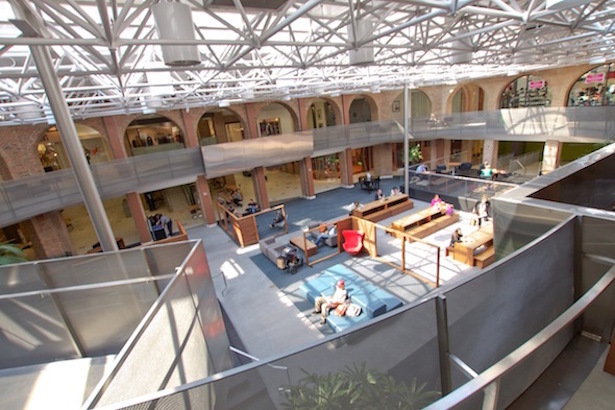 It has more recently been renovated with an attempt to bestow new life into the aging structure. 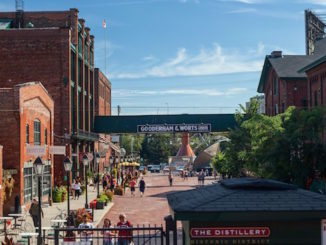 It is home to Toronto’s first Whole Foods Market, a natural foods grocery store, as well as many fashion retailers and a spa. 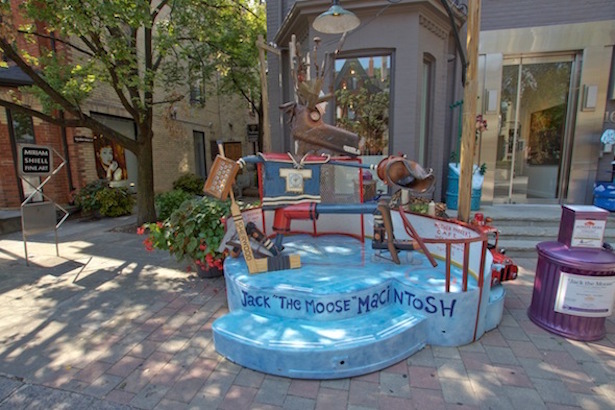 There is nothing more Canadian than Mother Parkers Tea & Coffee and the legend of Jack the Moose. The legend comes alive in a sculpture by the renowned Canadian-born artist Patrick Amiot. Commissioned by Michael & Paul Higgins of Mother Parkers Tea & Coffee, Drake Sadler of Traditional Medicinals and the Loch Gallery, the sculpture will help raise $1,000,000 for the Alzheimer Society in celebration of Mother Parkers’ 100th year as a Canadian family-owned business. 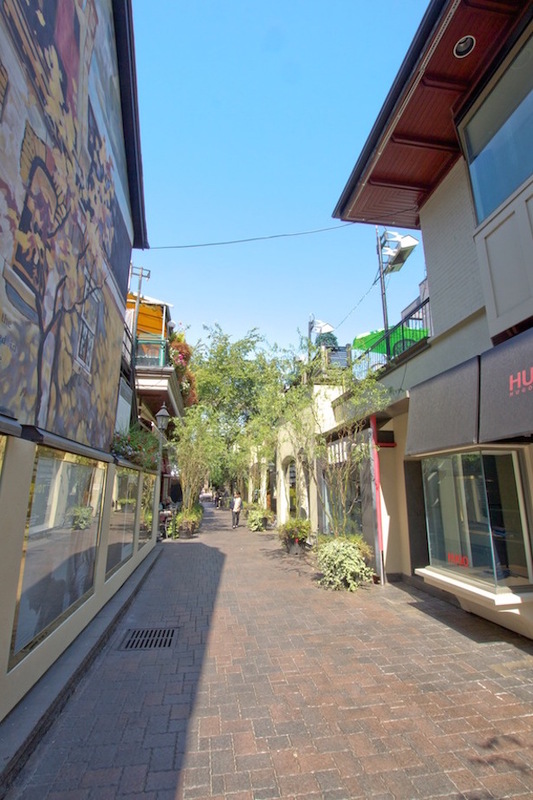 Great alley that connects Cumberland Street with Yorkville Avenue called Old York Lane.